The UFC Fight Night 73 Weigh-Ins will take place today in Nashville, Tennessee and the light heavyweight main event is now official after both fighters made weight. Today’s weigh-ins came from the Bridgestone Arena and the same venue will host tomorrow night’s fight card. 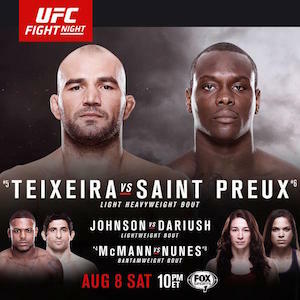 The event will be headlined by former UFC title challenger Glover Teixeira (205.5 lbs) looking to snap a two fight losing streak as he meets Ovince Saint Preux (206 lbs) in a battle of top ten UFC light heavyweights. 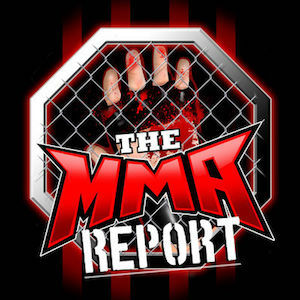 The only fighter to miss weight was main card fighter Ray Borg. He missed weight by .75 pound and will be fined 20 percent of his purse. According to the UFC, the entire fine will go to his opponent Geane Herrera and the fight will go forward as a catchweight bout of 127 pounds. The complete UFC Fight Night 73 Weigh-In results are below.